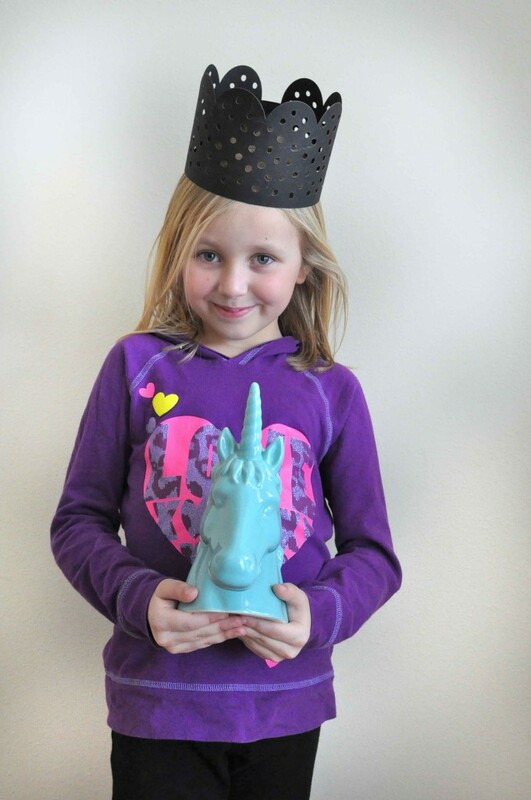 I was able to find several of the decor items from a unique online store, Red Stamp. 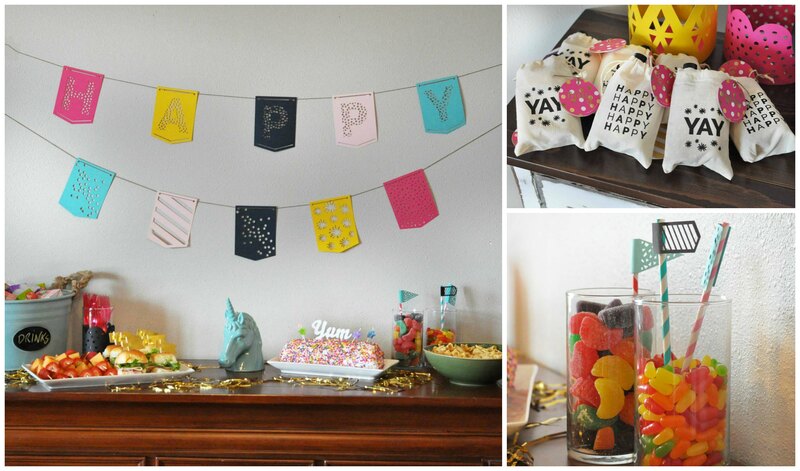 For the backdrop of the party table, I used their cute Fancy Fete banner with the word ‘happy.’ I also incorporated the Fancy Fete mini flags to accent the candy jars and a unique Yum acrylic cake topper to add a special touch to the birthday cake. 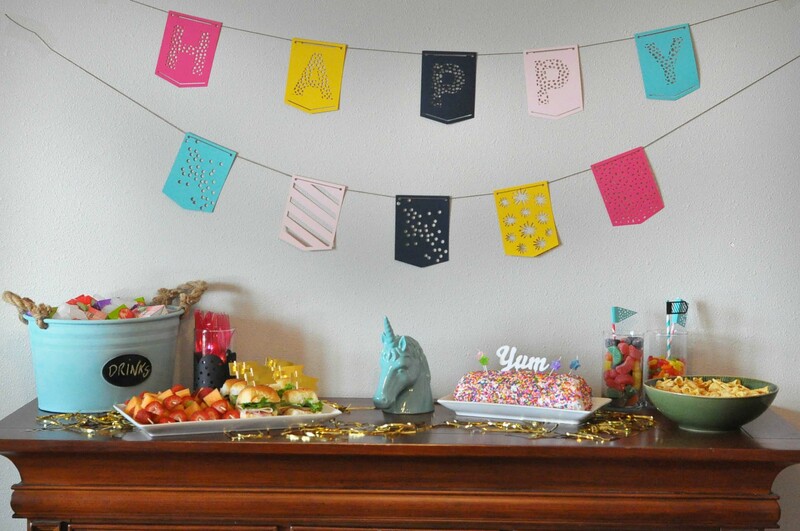 The birthday girl also insisted on having crowns for each of her friends, so I was excited to find the Fancy Fete paper crowns that worked not only for the kids, but also as embellishments wrapped around various jars. 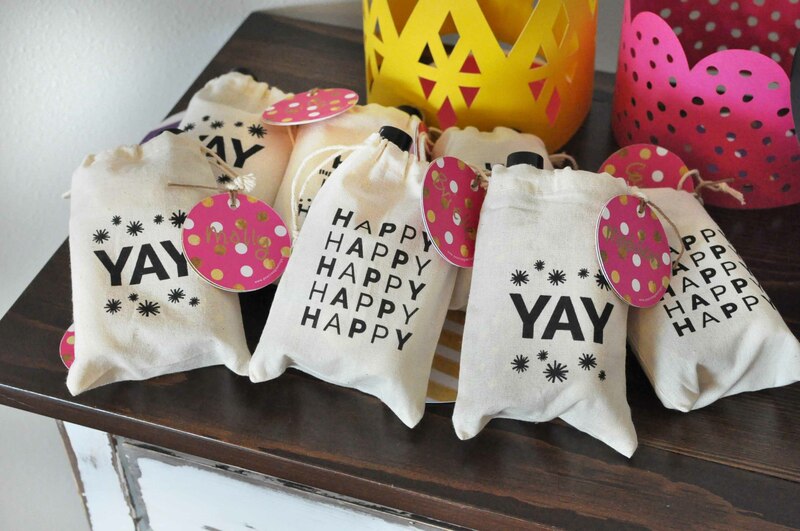 As with any party, the best part for the kids is the goodie bag. My daughter insisted that we get her friends lotion and body spray as a gift, which fit perfectly into the linen favor bags embellished with cute sayings. I also used the magic unicorn table decor as name tags, attaching one to each bag. 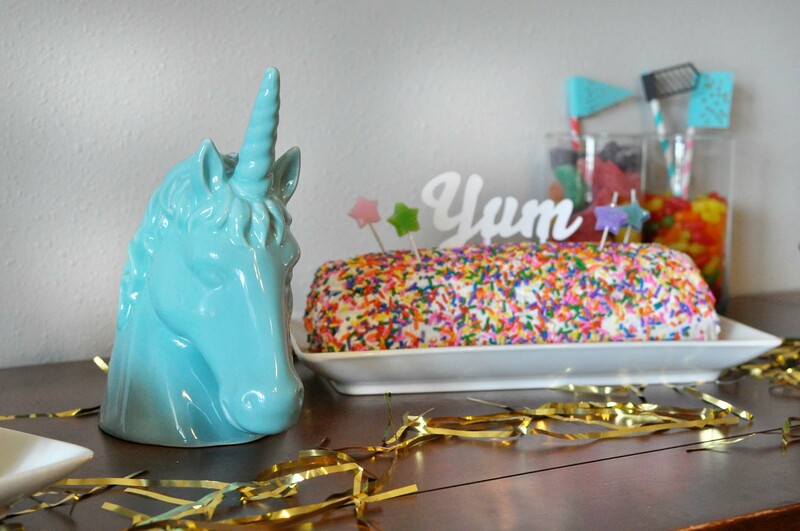 Overall the party was a hit, and the girls all loved the fun and magical unicorn-themed birthday party! 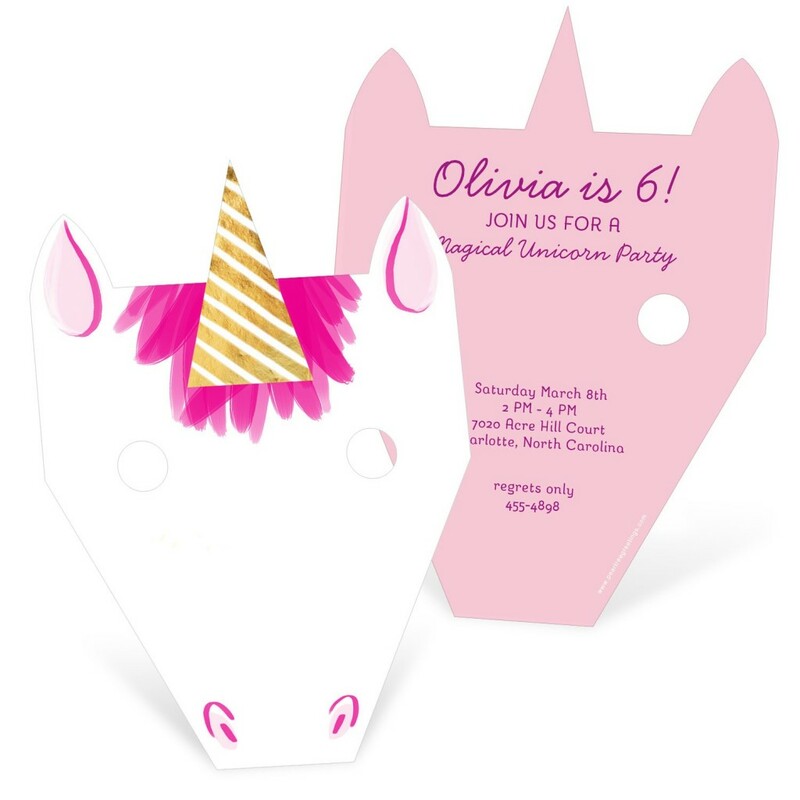 Create your birthday party theme by starting with the kids birthday invitations from Pear Tree. 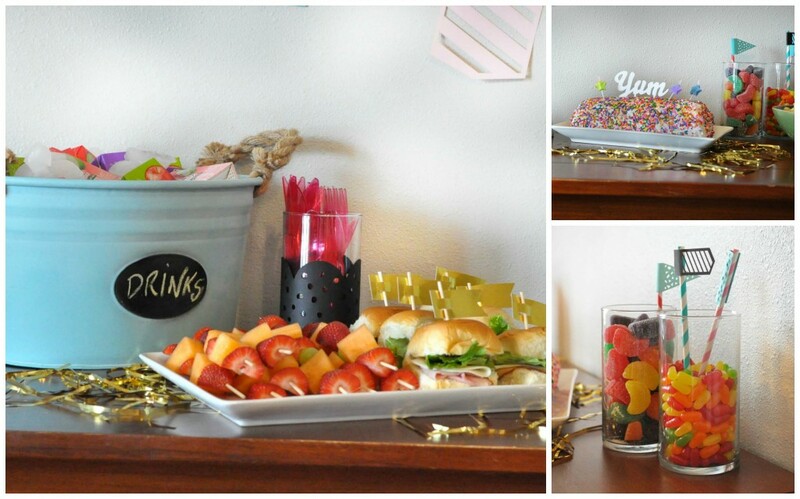 If you are looking for more birthday party ideas for girls, keep reading our blog!